Isle of Palms, South Carolina, U.S. The Citadel, The Military College of South Carolina, commonly referred to simply as The Citadel, is a state-supported, comprehensive college located in Charleston, South Carolina, United States. Established in 1842, it is one of six United States senior military colleges. It has 18 academic departments divided into five schools offering 29 majors and 38 minors. The military program is made up of cadets pursuing bachelor's degrees who live on campus. The non-military programs offer 10 undergraduate degrees, 24 graduate degrees, as well as online/distance programs with 7 online graduate degrees, 3 online undergraduate degrees and 3 certificate programs. 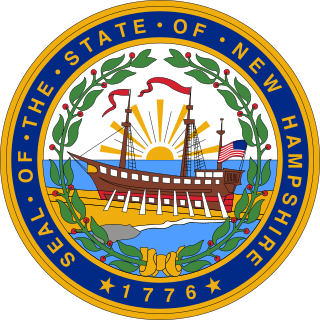 The New Hampshire primary is the first in a series of nationwide party primary elections and the second party contest held in the United States every four years as part of the process of choosing the delegates to the Democratic and Republican national conventions which choose the party nominees for the presidential elections to be held the subsequent November. Although only a few delegates are chosen in the New Hampshire primary, its real importance comes from the massive media coverage it receives. Spurred by the events of the 1968 election, reforms that began with the 1972 election elevated the two states' importance to the overall election, and began to receive as much media attention as all other state contests combined. Examples of this extraordinary coverage have been seen on the campuses of Dartmouth College and Saint Anselm College, as the colleges have held multiple national debates and have attracted media outlets like NPR, Fox News, CNN, NBC, and ABC. The publicity and momentum can be enormous from a decisive win by a frontrunner, or better-than-expected result in the New Hampshire primary. The upset or weak showing by a front-runner changes the calculus of national politics in a matter of hours, as happened in 1952 (D), 1968 (D), 1980 (R), and 2008 (D). James Warren DeMint is an American businessman, writer and retired politician who served as a United States Senator from South Carolina from 2005 to 2013. He is a member of the Republican Party and a leading figure in the Tea Party movement. He previously served as the United States Representative for South Carolina's 4th congressional district from 1999 to 2005. DeMint resigned from the Senate on January 1, 2013 to become president of The Heritage Foundation, a conservative think tank. On May 2, 2017, the board of trustees at Heritage removed DeMint as president of the organization. Hampton Park Terrace is the name both of a neighborhood and a National Register district located in peninsular Charleston, South Carolina. The neighborhood is bounded on the west by The Citadel, on the north by Hampton Park, on the east by Rutledge Ave., and on the south by Congress St. In addition, the one block of Parkwood Ave. south of Congress St. is considered, by some, to be included. The National Register district, on the other hand, is composed of the same area with two exceptions: (1) the northeasternmost block is excluded and (2) an extra block of President St. is included. Pi Kappa Phi (ΠΚΦ) commonly known as Pi Kapp, is an American Greek Letter secret and social fraternity. It was founded by Andrew Alexander Kroeg Jr., Lawrence Harry Mixson, and Simon Fogarty Jr. on December 10, 1904 at the College of Charleston in Charleston, South Carolina. The fraternity has 187 active chapters, and more than 113,000 initiated members. Johnston died on April 18, 1965. Hollings' successor as governor, Donald S. Russell, resigned in order to accept appointment to the Senate seat. In the summer of 1966, Hollings defeated Russell in the Democratic primary for the remaining two years of the term. He then narrowly won the special election on November 8, 1966, against the Democrat-turned-Republican Marshall Parker, and was sworn in shortly thereafter. He gained seniority on other newly elected U.S. senators who would have to wait until January 1967 to take the oath of office. In 1967, he was one of eleven senators who voted against the nomination of Thurgood Marshall to become the first black justice on the U.S. Supreme Court. The following year, Hollings won the Senate seat for his first full term when he again defeated Marshall Parker but in this instance by a much wider margin. For thirty-six years (until January 2003), he served alongside Republican Strom Thurmond, making them the longest-serving Senate duo in the history of the United States to date. This also made Hollings the longest-serving junior senator, even though he had more seniority than all but a few of his colleagues. Thurmond and Hollings generally had a good relationship despite their sometimes sharp philosophical differences, and frequently collaborated on legislation and projects to benefit South Carolina. Their combined seniority gave South Carolina clout in national politics well beyond its relatively small population. Only Thurmond, Robert Byrd, Ted Kennedy, Daniel Inouye, Carl Hayden, John Stennis, Ted Stevens, Pat Leahy, Orrin Hatch, and Thad Cochran have served longer in the Senate than did Hollings. Hollings and his first wife separated in 1970 and divorced in 1971. Their children lived with their mother, and Hollings never discussed the reason for the divorce. Later that year, he married Rita Liddy "Peatsy" Hollings (born 1935), who was 13 years his junior. She had joined his administrative staff in 1967. It was her first and his second marriage. They were married 41 years until her death in 2012. Hollings remained very popular in South Carolina over the years, even as the state became increasingly friendly to Republicans at the national level. In his first three bids for a full term, he never dropped below 60 percent of the vote. In the 1992 election, however, he faced an unexpectedly close race against former Congressman Tommy Hartnett in what was otherwise a very good year for Democrats nationally. 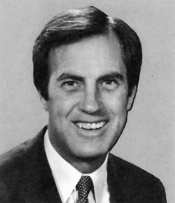 Hartnett had represented the Charleston area in Congress from 1981 to 1987, thus making him Hollings' congressman. His appeal in the Lowcountry – traditionally a swing region at the state level – enabled him to hold Hollings to only 50 percent of the vote. In his last Senate race in 1998, Hollings faced Republican congressman Bob Inglis. One of the more heated moments of the race was a newspaper interview in which Hollings referred to Inglis as a "goddamn skunk". Hollings was re-elected 52%–45%. On January 7, 2003, Hollings introduced the controversial Universal National Service Act of 2006, which would require all men and women aged 18–26 (with some exceptions) to perform a year of military service. On August 4, 2003, he announced that he would not run for re-election in November 2004. Republican Jim DeMint succeeded him. 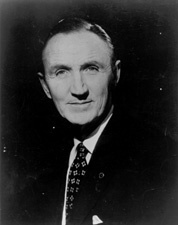 In his later career, Hollings was moderate politically but was supportive of many civil rights bills. He voted for re-authorizing the Voting Rights Act in 1982. However, in 1967 he was one of the 11 senators who voted against the confirmation of Thurgood Marshall, the first black Supreme Court justice. Hollings later voted in favor of the failed nomination of Robert Bork and also for the successful nomination of Clarence Thomas. On fiscal issues, he was generally conservative, and was one of the primary sponsors of the Gramm-Rudman-Hollings Act, an attempt to enforce limits on government spending. The J. Waties Waring Judicial Center at 83 Meeting Street in Downtown Charleston was formerly named the Hollings Judicial Center for the former governor and senator. Hollings started the Hollings Scholarship in 2005. It gave over 100 undergraduates from around the country a 10-week internship with the National Oceanic and Atmospheric Administration and a monetary scholarship for the school year. Hollings helped to establish the Hollings Center for International Dialogue, an organization which promotes dialogue between the United States and Turkey, the nations of the Middle East, North Africa, and Southwest Asia, and other countries with predominantly Muslim populations in order to open channels of communication, deepen cross-cultural understanding, expand people-to-people contacts, and generate new thinking on important international issues. James Strom Thurmond Sr. was an American politician who served for 48 years as a United States Senator from South Carolina. He ran for president in 1948 as the States Rights Democratic Party candidate, receiving 2.4% of the popular vote and 39 electoral votes. 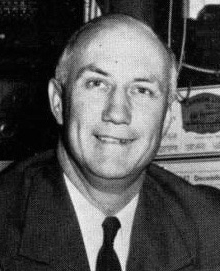 Thurmond represented South Carolina in the United States Senate from 1954 until 2003, at first as a Southern Democrat and, after 1964, as a Republican. The 1998 United States Senate elections were held on November 3 and seen as an even contest between the Republican Party and Democratic Party. While the Democrats had to defend more seats up for election, Republican attacks on the morality of President Bill Clinton failed to connect with voters and anticipated Republican gains did not materialize. The Republicans picked up open seats in Ohio and Kentucky and narrowly defeated Democratic incumbent Carol Moseley Braun (Illinois), but these were cancelled out by the Democrats' gain of an open seat in Indiana and defeats of Republican Senators Al D'Amato and Lauch Faircloth. The balance of the Senate remained unchanged at 55–45 in favor of the Republicans. With Democrats gaining five seats in the House of Representatives, this marked the first time since 1934 that the out-of-presidency party failed to gain congressional seats in a mid-term election, and the first time since 1822 that the party not in control of the White House failed to gain seats in the mid-term election of a President's second term. These are the last senate elections that resulted in no net change in the balance of power. The 1966 United States Senate elections was an election on November 8, 1966 for the United States Senate which occurred midway through the second term of President Lyndon B. Johnson. With divisions in the Democratic base over the Vietnam War, and with the traditional mid-term advantage of the party not holding the presidency, the Republicans took three Democratic seats. Despite Republican gains, the balance remained overwhelmingly in favor of the Democrats, who retained a 64–36 majority. This was also the first election that occurred after the Voting Rights Act of 1965 became law. William Douglas Workman Jr., known as W. D. Workman Jr., was a journalist, author, and a pioneer in the development of the 20th century South Carolina Republican Party. He carried his party's banner as a candidate for the United States Senate in 1962 and for the governorship in 1982. He lost to the Democrats, Olin D. Johnston and Richard Riley, respectively. Henry Dargan McMaster is an American politician, attorney and member of the Republican Party, who is the 117th Governor of South Carolina, in office since January 24, 2017. Burnet Rhett Maybank was a U.S. Senator, the 99th Governor of South Carolina, and Mayor of Charleston, South Carolina. He is one of only twenty people in United States history to have been elected mayor, governor, and United States senator. Maybank was the direct descendant of five former South Carolina governors: Thomas Smith, Rawlins Lowndes, Robert Gibbes, James Moore and William Aiken, Jr. and one U.S. Senator, Robert Barnwell Rhett. He was the first governor from Charleston since the Civil War. His son, Burnet R. Maybank Jr., went on to become lieutenant governor of South Carolina and a later candidate for governor. His grandson, Burnet Maybank III, is a notable lawyer. Thomas Forbes "Tommy" Hartnett is a former U.S. Representative from South Carolina. The 1954 South Carolina United States Senate election was held on November 2, 1954 to select the next U.S. Senator from the state of South Carolina. Senator Burnet R. Maybank did not face a primary challenge in the summer and was therefore renominated as the Democratic Party's nominee for the election in the fall. However, his death on September 1 left the Democratic Party without a nominee and the executive committee decided to nominate state Senator Edgar A. Brown as their candidate for the election. Many South Carolinians were outraged by the party's decision to forgo a primary election and former Governor Strom Thurmond entered the race as a write-in candidate. He easily won the election and became the first U.S. Senator to be elected by a write-in vote in an election where other candidates had ballot access. The 1996 South Carolina United States Senate election was held on November 5, 1996 to select the U.S. Senator from the state of South Carolina. Popular incumbent Republican Senator Strom Thurmond won re-election against Democratic challenger Elliott Springs Close. Glenn Fant McConnell served as the president of the College of Charleston from 2014 to 2018. The 1966 South Carolina United States Senate special election was held on November 8, 1966 to select the U.S. Senator from the state of South Carolina. 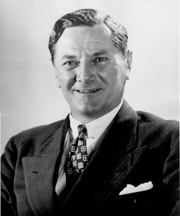 The election resulted from the death of Senator Olin D. Johnston in 1965. Then Governor Donald S. Russell entered in a prearranged agreement with Lieutenant Governor Robert Evander McNair in which Russell would resign his post so that he could be appointed Senator. However, former Governor Fritz Hollings won the Democratic primary election and went on to beat Republican state senator Marshall Parker in the general election to fill the remaining two years of the unexpired term. The 1998 United States Senate election in South Carolina was held November 3, 1998. Incumbent Democratic U.S. Senator Fritz Hollings won reelection to his sixth full term. As of 2019, this is the last Senate election in South Carolina won by a Democrat. The 2004 United States Senate election in South Carolina was held on November 2, 2004. Longtime incumbent Democratic U.S. Senator Fritz Hollings retired, and Republican U.S. Representative Jim DeMint won the open seat. The 1992 United States Senate election in South Carolina was held on November 3, 1992. Incumbent Democratic U.S. Senator Fritz Hollings won reelection to his fifth full term. The 1968 South Carolina United States Senate election was held on November 5, 1968, to select the U.S. Senator from the state of South Carolina. Incumbent Democratic Senator Fritz Hollings easily defeated Republican state senator Marshall Parker in a rematch of the election two years earlier to win his first full term. The 1986 South Carolina United States Senate election was held on November 4, 1986 to select the U.S. Senator from the state of South Carolina. Popular incumbent Democratic Senator Fritz Hollings easily defeated Republican challenger Henry McMaster to win his fourth full term. This is also the last US Senate election in South Carolina where the Democrat won with a double-digit margin. The 1962 South Carolina United States Senate election was held on November 6, 1962 to select the U.S. Senator from the state of South Carolina. Incumbent Democratic Senator Olin D. Johnston defeated Governor Fritz Hollings in the Democratic primary and Republican W. D. Workman, Jr. in the general election. Timothy Eugene Scott is an American politician and businessman serving as the junior United States Senator from South Carolina since 2013. Appointed by Governor Nikki Haley to replace the retiring Jim DeMint, he later won a special election in 2014 and was elected to a full term in 2016. He is a member of the Republican Party. Joseph Oscar "Joe" Rogers Jr., was a lawyer from Manning, South Carolina, who served as a Democrat in the South Carolina House of Representatives from 1955 to 1966, when he switched allegiance to the Republican Party. 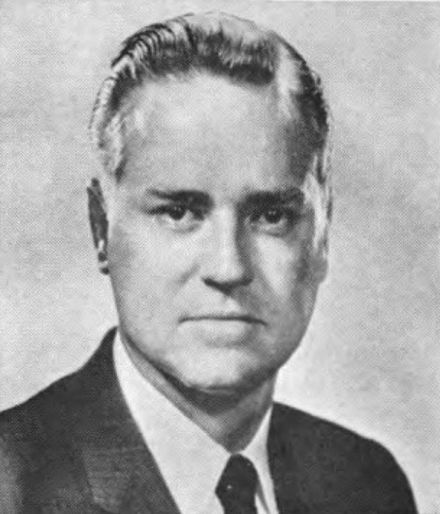 Rogers was the first serious Republican gubernatorial nominee in South Carolina in ninety years, but he was handily defeated in the 1966 general election by the incumbent Democrat Robert E. McNair. ↑ "The Sumter Daily Item - Google News Archive Search". news.google.com. ↑ Hollings, Ernest with Kirk Victor (2008). Making Government Work. Columbia, S.C.: University of South Carolina Press. p. 9. 1 2 3 UPI (July 12, 1971). "Sen. Hollings to Wed Office Assistant". The Dispatch. Retrieved October 4, 2011. ↑ "Hollings' son to run for lieutenant governor". Herald-Journal. Associated Press. June 14, 2006. Retrieved October 4, 2011. ↑ "Hollings Granddaughter Dies; Presidential Hopeful Flies Home". Ocala star-Banner. Associated Press. August 14, 1983. Retrieved October 4, 2011. ↑ Schuyler Kropf (April 19, 2003). "Hollings family lays daughter to rest". The Post and Courier. Retrieved October 4, 2011. ↑ "Milestones, Mar. 23, 1959". Time Magazine. 1959. Retrieved October 4, 2011. ↑ "Ernest Frederick Hollings". October 4, 2011. ↑ Priscilla Meyer (February 5, 1961). "South Carolina's First Lady". The News and Courier. Retrieved October 4, 2011. ↑ "Milestones, Mar. 23, 1959". Time Magazine. 1959. Retrieved January 4, 2013. ↑ Once A Soldier...Always A Soldier: Soldiers in the 108th Congress. Arlington, Virginia: Association of the United States Army. 2003. p. 16. ↑ "Finding Aid for the Gubernatorial Papers of the Ernest F. "Fritz" Hollings Collection" (PDF). South Carolina Political Collections of the University of South Carolina. Retrieved September 14, 2009. ↑ "Journal of the House of Representatives of the Second Session of the 94th General Assembly of the State of South Carolina." Confederate Flag Vertical File, South Carolina Political Collections, University of South Carolina. ↑ Brunner, Borgna (June 30, 2000). "Confederate Flag Comes Down in South Carolina". Infoplease. Pearson Education, Inc. Retrieved May 7, 2013. ↑ "South Carolina Confederate Battle Flag Removal Bill Signing Ceremony". C-SPAN. July 9, 2015. ↑ "South Carolina Gov. Nikki Haley Signs Confederate Flag Bill Into Law". NPR. July 9, 2015. ↑ Address by Governor Ernest F. Hollings to the General Assembly of South Carolina, January 9, 1963, p. 8-9, http://digital.tcl.sc.edu/cdm4/document.php?CISOROOT=/how&CISOPTR=291&REC=2, part of the University of South Carolina's Digital Collection, "Fritz Hollings: In His Own Words." ↑ Hollings, Ernest (1970). The Case Against Hunger: A Demand for a National Policy. New York: Cowles Book Company, Inc. ISBN 0402126114. ↑ Robertson, Glenn (January 11, 1968). "Hollings 'Angered' by Tour of Slums." Charleston, S.C.: Evening Post. ↑ Pyatt, "The Beginning of a Rennaissance [ sic ] in Dixie?". 1 2 Pyatt, Rudolph (February 23, 1969). "The Beginning of a Rennaissance [ sic ] in Dixie". Charleston, S.C.: News and Courier. ↑ report, Staff. "Peatsy Hollings, wife of former Sen. Fritz Hollings, dies at 77". Post and Courier. Retrieved September 17, 2018. ↑ Kropf, Schuyler. "Peatsy Hollings was teacher, mentor". Post and Courier. Retrieved September 17, 2018. 1 2 Frum, David (2000). How We Got Here: The '70s. New York, New York: Basic Books. p. 321. ISBN 0-465-04195-7. ↑ "SENATE BARS CUT IN SCHOOL FUNDS". New York Times. February 7, 1970. ↑ "HOLLINGS ATTACKS NIXON ON DISCORD". New York Times. September 26, 1970. ↑ "Kennedy, in Visit to Carolina, Cites Calhoun But Not‐Sherman". New York Times. March 1, 1971. ↑ "KANSAS REPUBLICAN JOINS FOES OF BUTZ". New York Times. November 27, 1971. ↑ Welles, Benjamin. "Kennedy Fears New Pakistan Arms Aid". New York Times. ↑ "Senate Roll‐Call Vote Approving Marshall". January 27, 1977. ↑ Gwertzman, Bernard (February 13, 1979). "Senate Panel Balks at Letting U.S. Shift Funds to New Office in Taipei". New York Times. ↑ "Senate Votes Funds for More Refugees". New York Times. June 26, 1979. ↑ "Senators Appeal to Carter to Resist Linking Arms Treaty and Spending". New York Times. August 4, 1979. ↑ "The Citadel Archives: Hollings, Ernest, 1922". ↑ "Bill Introduced in Senate To Reinstate the Draft". New York Times. March 25, 1981. 1 2 3 "A Senator's Cannibal 'Joke' Angers Blacks". The New York Times . December 16, 1993. Retrieved September 25, 2016. ↑ "Budget freezers extend the chill". Journal Tribune. March 6, 1985. ↑ "SENATE PANEL REJECTS BAN ON CHANNEL SWAPS". New York Times. May 1, 1985. ↑ "Treasury Head Defends Plan for Ending Deficit". New York Times. October 14, 1985. ↑ "Our Campaigns - US President - D Primaries Race - Feb 01, 1988". www.ourcampaigns.com. ↑ "Hollings calls for FEMA investigation". UPI. October 3, 1989. ↑ "DECISION IS URGED ON SOCIAL SECURITY". New York Times. April 24, 1990. ↑ "Senate vote authorizing military force against Iraq". UPI. January 12, 1991. ↑ "U.S. Senate: U.S. Senate Roll Call Votes 103rd Congress - 1st Session". www.senate.gov. ↑ "Main content Courthouse Renamed for Civil Rights Hero" . Retrieved January 21, 2019. ↑ Hollings, Ernest with Kirk Victor (2008). Making Government Work. Columbia, S.C.: University of South Carolina Press. ↑ "Board of Advisors webpage". Charleston School of Law. Retrieved September 1, 2009. Archived from the original on April 6, 2012. ↑ "Hollings to give school's first commencement address". Charleston School of Law. March 20, 2007. Archived from the original on February 11, 2017. Retrieved February 9, 2017. ↑ Hicks, Brian; Kropf, Schuyler (April 6, 2019). "Former SC Governor, U.S. 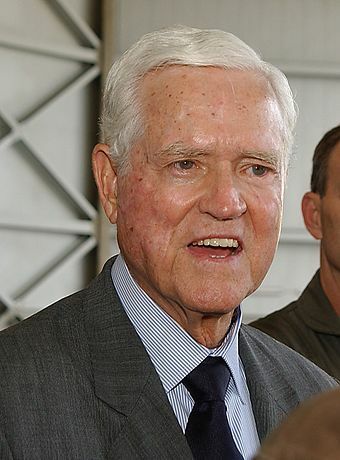 Senator Ernest F. 'Fritz' Hollings dies at 97". The Post and Courier . Retrieved April 6, 2019. Minchin, Timothy J., “An Uphill Fight: Ernest F. Hollings and the Struggle to Protect the South Carolina Textile Industry, 1959–2005,” South Carolina Historical Magazine, 109 (July 2008), 187–211. United States Congress. "Fritz Hollings (id: H000725)". Biographical Directory of the United States Congress .